Cranberry Corner: The Harvest Has Begun! 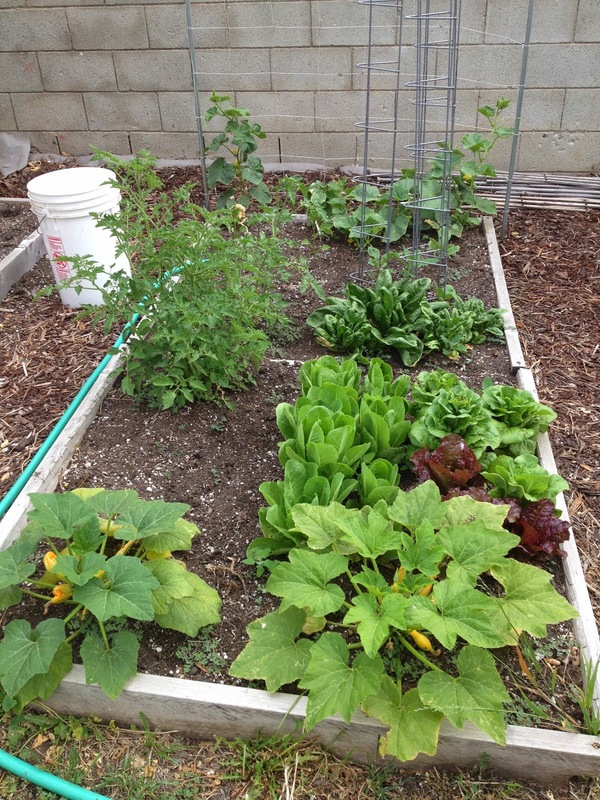 When we pulled into the driveway after our long weekend in Arizona, the first thing I did was go to the garden. It felt like we'd been gone for weeks and things seemed to have really grown. 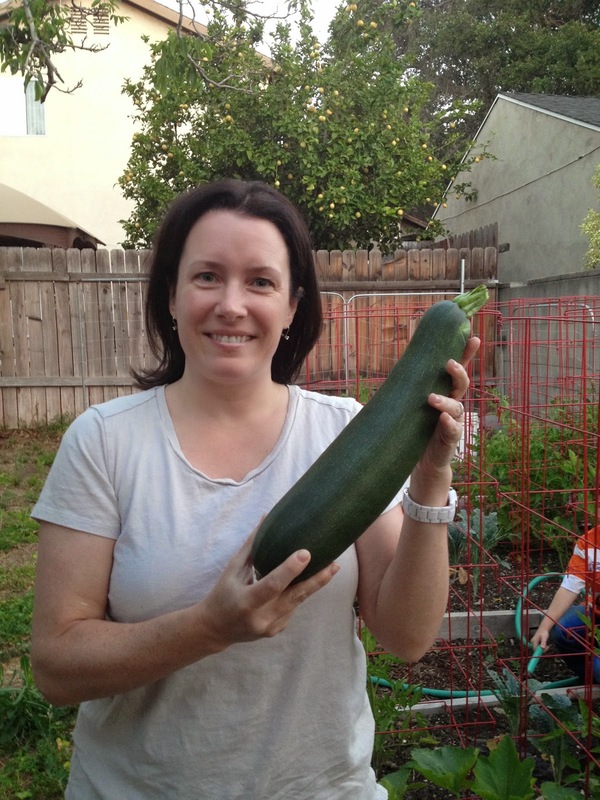 The first thing I saw was this gigantic zucchini! My first harvest of the season! I had another zucchini and two cucumbers ready to pick as well. This year I'm keeping track of the number of vegetables I harvest as well as the weight of what I harvest. I'm wondering how much bang for my buck I get from various plants, and if I am planting the right amount of things for what we want. Even a few weeks later, these plants are so much bigger now! 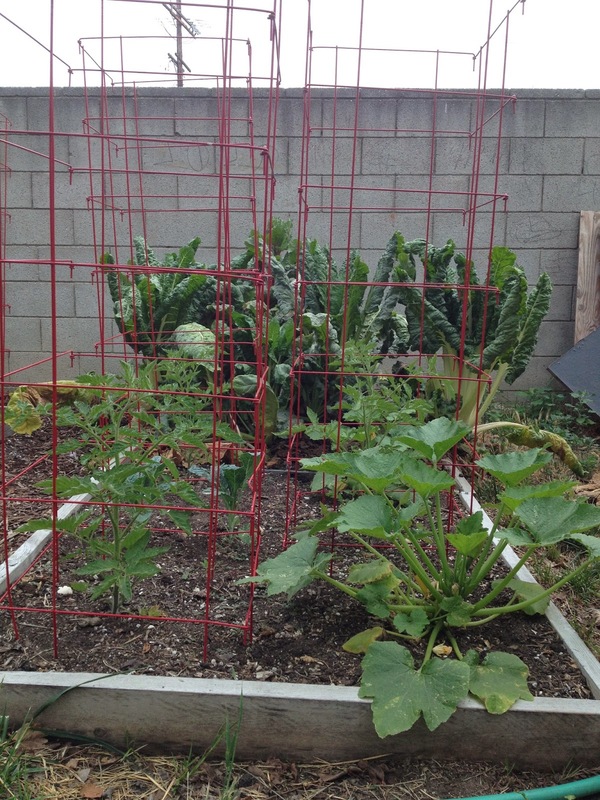 I did have Aiden pull up all the Swiss Chard last week, though. It became absolutely infested with aphids. I think there were eggs and they all hatched at once. The ladybugs were terribly outnumbered. This week I also pulled up all the kale. It looks decent here, but the white cabbage moths kept laying their eggs on them and every day I was out there pulling off dozens of little green caterpillars. They were eating my plants faster than I could get them off. Of course, I swore off growing broccoli, cauliflower, and cabbage for this same reason. Why did I think I'd have better luck with kale, which is in the same family? 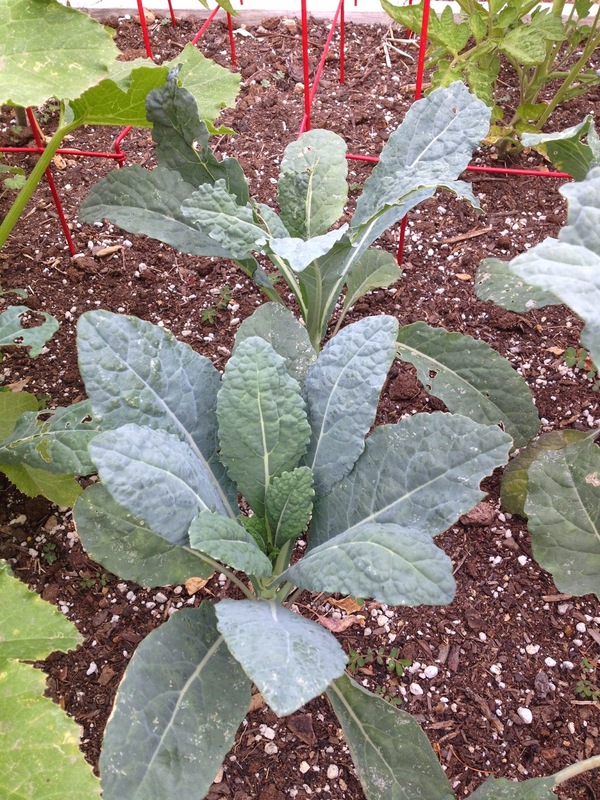 It makes me sad, though, because this kale is expensive in the grocery store and I was so looking forward to having it in the garden. 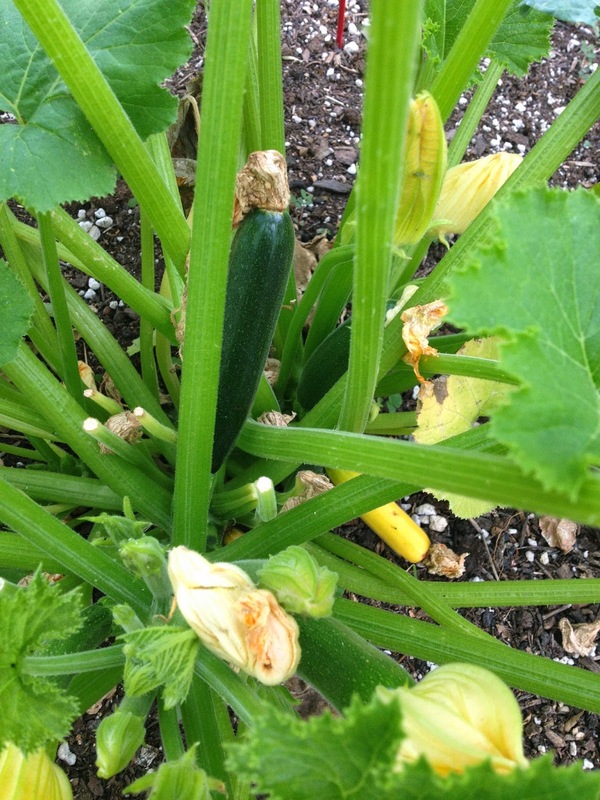 I have three zucchini plants growing, and I think we're going to be just fine this summer. 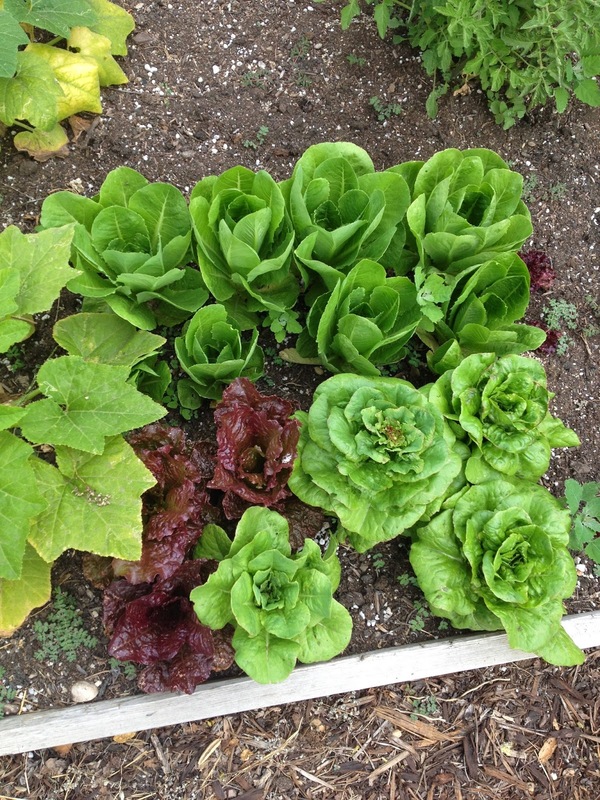 The pretty lettuce has mostly bolted. I'm waiting to collect seeds from the Parris Island Cos (the romaine lettuce). 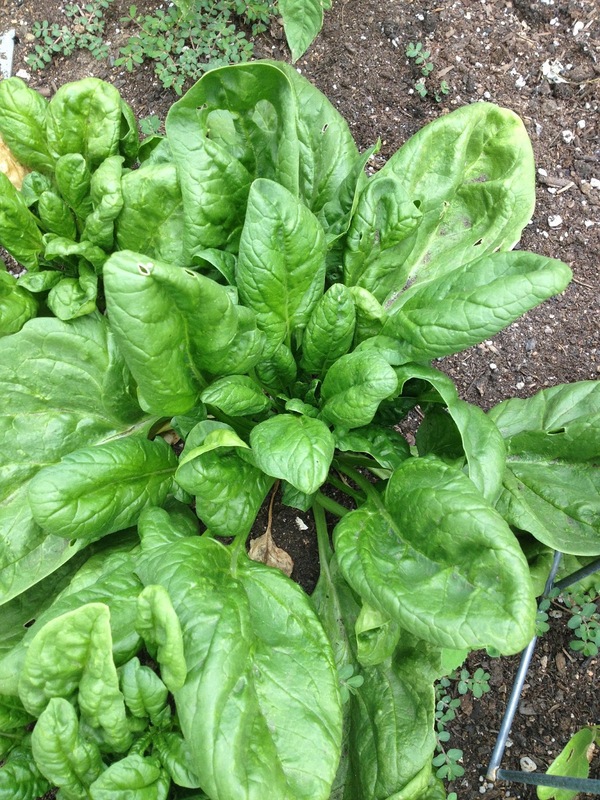 The spinach has bolted as well, but we got some good use out of the plants. 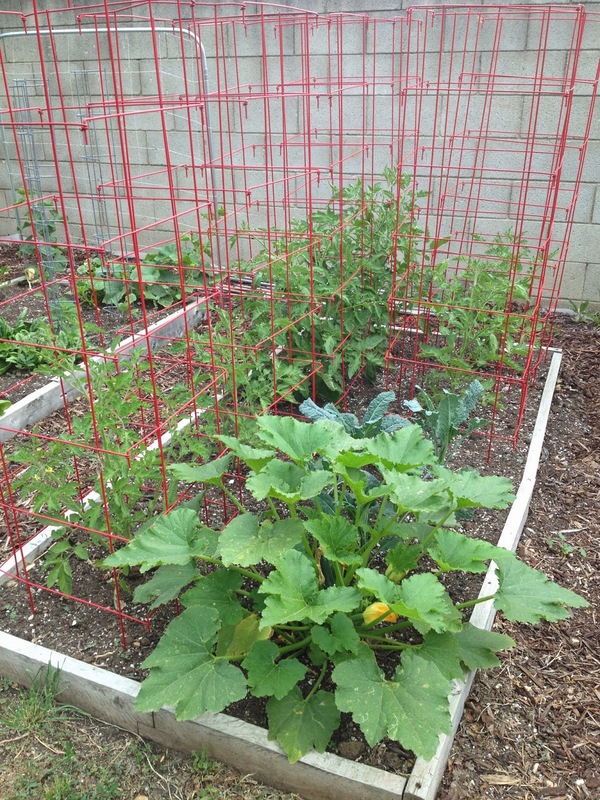 The cucumber plants are trailing up the trellis. I've harvested several more cucumbers since this picture. These are pickling cucumbers, so I'm looking forward to trying that. 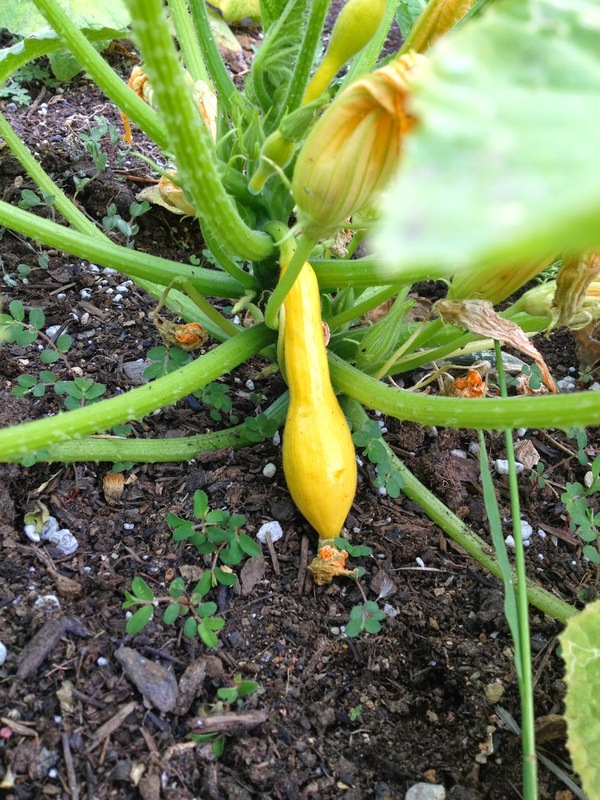 Yellow squash! Conor's favorite. We've eaten several already. And speaking of Conor, here he is watering the plants for me, well protected in case something dangerous goes down out there. Your lettuce looks so pretty! Conor must be expecting "Harvey" the 6 foot white rabbit.